Even better than Hetty! Trademark Jacky set in London just before the First World War. Meet your new heroine: Opal Plumstead. Plain but fiercely smart, she dreams of winning a university scholarship. But when her dad is sent to prison, she’s forced to start work at the Fairy Glen sweet factory instead. The other workers despise her. (Too brainy.) 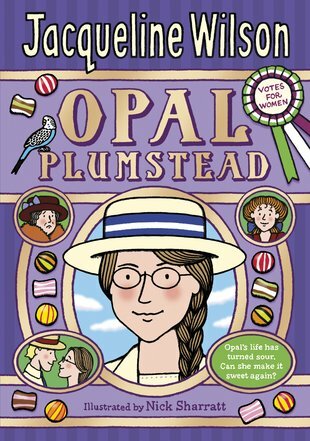 But Mrs Roberts, the factory’s elegant owner, introduces Opal to the famous Mrs Pankhurst and her Suffragettes. And then Opal meets her soulmate – Morgan, the handsome heir to Fairy Glen. But will her joy be thwarted by war? I loved this book! It was funny and heartbreaking!